After school, doing homework is an option but not always the first option a kid wants to pick. 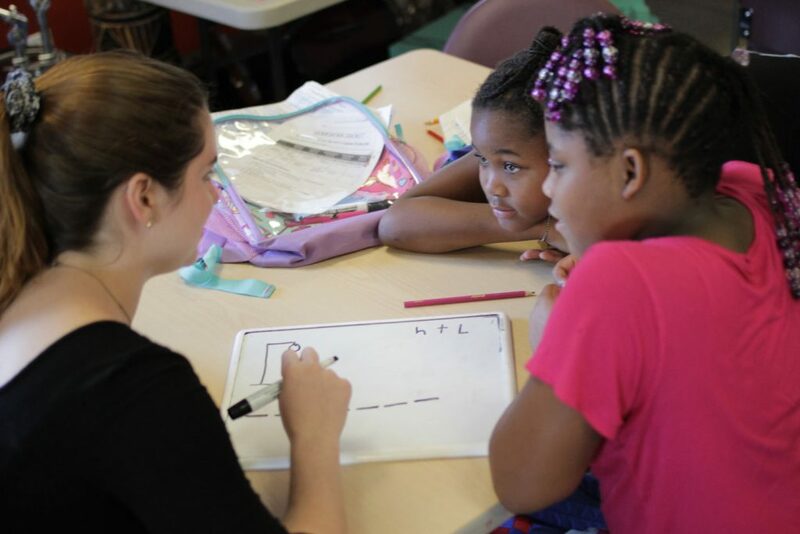 And picking what to do at the Boys and Girls Club of Easton is no easy task. Music fills the building with a solid rhythm. The gym is active with kids. The new $300,000 outdoor playground and garden beckon. Still, there is a gaggle of kids bent over desks with pencils scribbling. There are about six tables with studious youngsters practicing their handwriting, tackling subtraction, and navigating fact families. Scattered around the room are Lafayette students, part of Team FLUF (Forming Lasting Unexpected Friendships) from the MOSAIC program in Landis Center for Community Engagement. Their leader is Emmanuel “Manny” Jimenez ’21, who is knee deep in some word problems, just the sort of thing that makes math hard for many kids—when reading combines with numbers. Working with a young girl, Jimenez grabs a tiny whiteboard that allows him to illustrate the problem. He draws circles, which prompts her to grab a dry-erase marker from him and draw her own circles. What he hasn’t noticed is the phone in her lap. If it were unlocked, he’d have seen the calculator app open, an easy shortcut. He also doesn’t notice how the phone stays in her lap as they work together and, to his credit in explaining the concept, after he moves on to help another student. Jimenez isn’t new to this business. 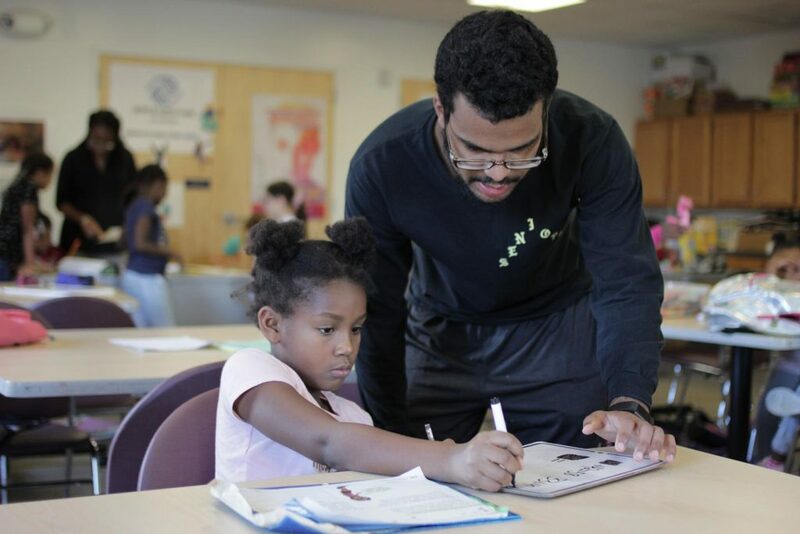 The computer science major began tutoring as a volunteer at the club his first semester on campus. He took over coordinating the program in his second semester. But his roots go deeper. When his life at Lafayette began, he participated in Pre-Orientation Service Program (POSP), which invites first-year students to campus early to get to know Easton through community-based service projects. Those roots go deeper still. He went to a public school in an impoverished community. During middle and high school, he moved to a private school. He does that at the club too. 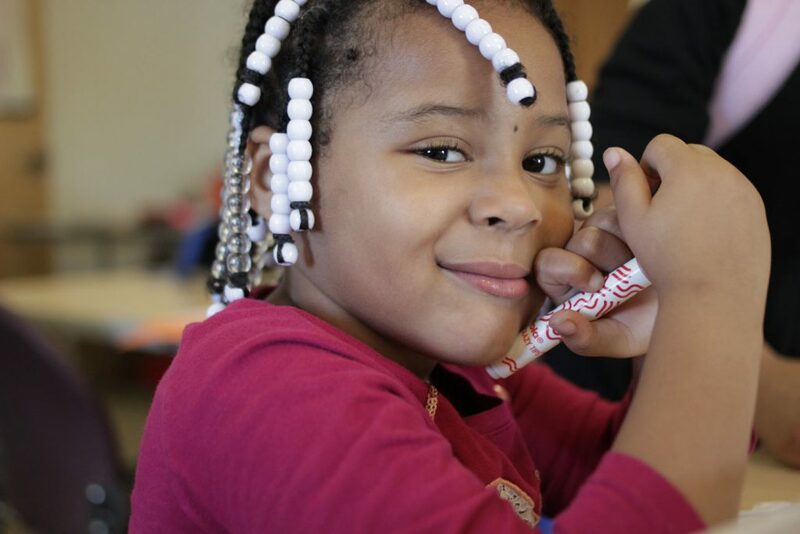 Relationships like these are something Lafayette students have been fostering for years at the Boys and Girls Club across all of its programs. 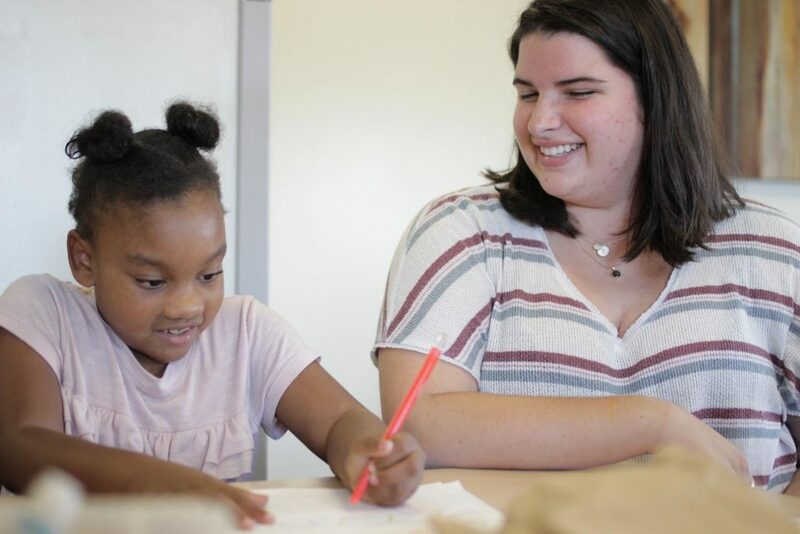 Young can cite examples of faculty, athletes, student volunteers, Williams Center for the Arts, fraternities, and sororities, all lending a hand or raising dollars. 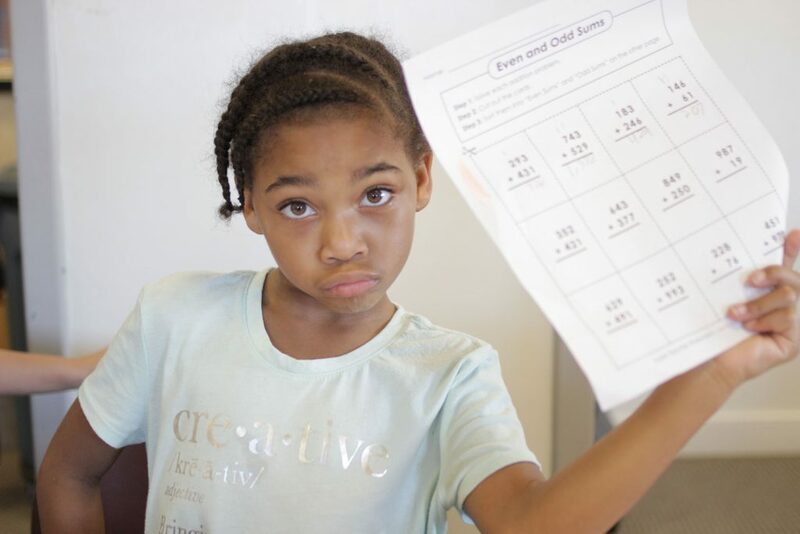 Young notes that homework helpers from the College develop confidence, self-esteem, and performance in kids they tutor. As program coordinator, Jimenez manages twice-a-week visits to the club, coordinating schedules, reminding volunteers, arranging transportation. He averages about two to three hours a week at the club and has recruited another 10 or so students from the College to help. Kelsey Moum ’21 is one as is her roommate, Emily Cotter ’21. Both are service-minded with Cotter a former POSP participant and Moum a member of national service fraternity Alpha Phi Omega. Jimenez also has to switch gears quickly from English to math to science, knowing students can range in age from kindergarten to 12th grade with most landing between second and eighth grade. While not saying it, he models the values he wants club members to live. “I want to break the mold on what a well-rounded person and citizen looks like,” he says. Jimenez is active on campus in clubs like Minorities in Computing and Society of Hispanic Engineers. “Students at the club and on campus should see what we can do—that we can survive and thrive,” he says. As he settles in with another student who needs help with a problem, he begins to form yet another lasting friendship.